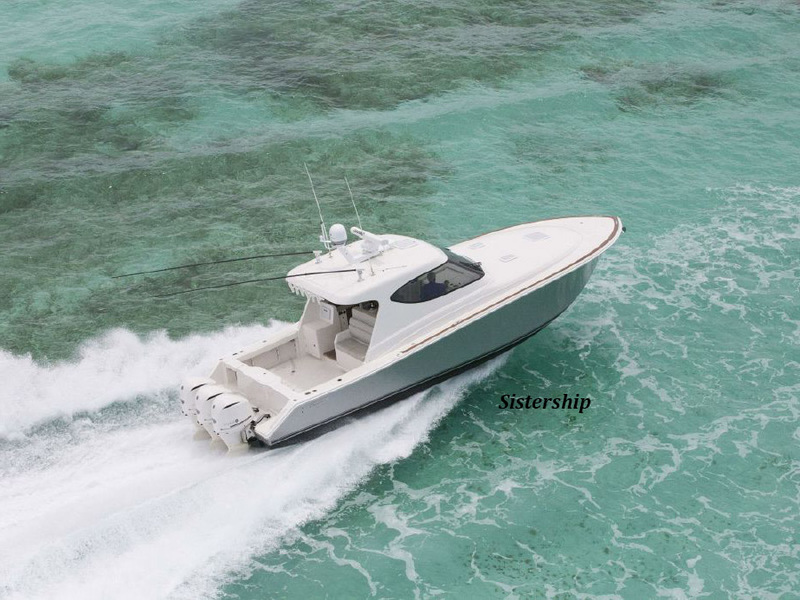 RJC Yacht Sales lists a 2014 41 Jupiter! JUPITER 41-SB, a 41' 2014 Jupiter has been recently listed for sale by Mike Strassel at RJC Yacht Sales. This 41-SB is beautiful and bold, as only Jupiter can craft. She offers deluxe amenities with upgraded Yamaha outboard propulsion(triple F350s), without sacrificing fish-ability. The 41-SB has accommodations for five, on-board entertainment, a full galley, and is outfitted with several optional items including AC on bridge, Yamaha Helm Master Joystick Steering and upgraded high gloss interior cabinetry just to mention a few. Designed with fishing and cruising in mind, the 41-SB offers the best of both worlds. Serious anglers will appreciate the many blue-water features including oversized fish boxes, the livewell and tackle center, while cruisers will enjoy the luxurious custom wood cabinetry, designer galley and comfortable berthing spaces. In turn-key condition, she is presently in Key Largo, FL and is asking $589,000.